Dr Dinakar M Salunke joined as the Director of the ICGEB, New Delhi on November 03, 2015. Prior to joining ICGEB, Dr. Salunke was the Executive Director at the Regional Centre for Biotechnology (RCB), India. 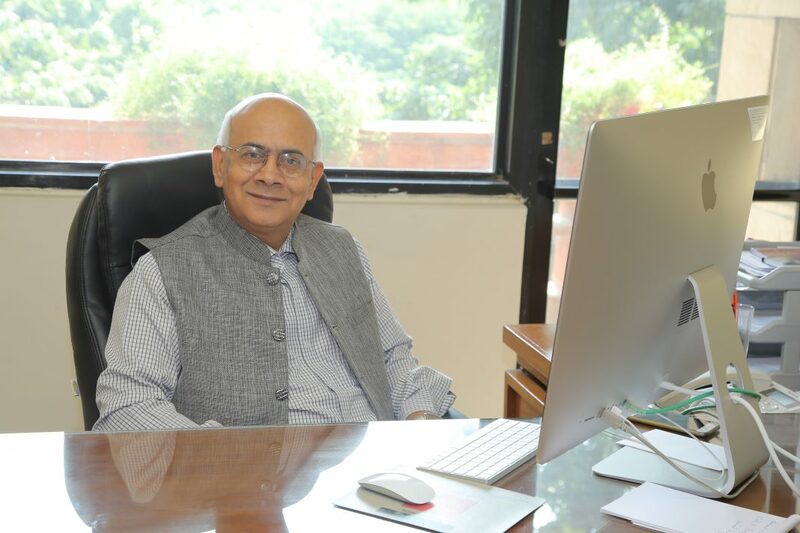 He obtained his PhD from the Indian Institute of Science, Bangalore, went on to join the National Institute of Immunology (NII) in 1988 and later played an important role in building the Faridabad Biotech Science Cluster consisting of the Regional Centre for Biotechnology (RCB) and Translational Health Science and Technology Institute (THSTI). The International Centre for Genetic Engineering and Biotechnology (ICGEB) based in New Delhi is a research institution of international repute having contributed to plant biotechnology and human health research. Institute is best known for the translational research involving vaccine development as well as affordable diagnostic kits. Rahul Koul had a detailed conversation with Dr Dinakar Salunke, Director, ICGEB, New Delhi who took up the present role about a year ago and now intends to give a new direction to the research efforts at the Institute. Read the detailed interview below. Can we still consider ICGEB as an international institute after the Italian government pulled out its funding in 2013? How does it function now and what role does Indian government play here? Funding apart, ICGEB remains an International Institution. With Govt. of India increasing its share of host country contribution, we restructured the institution in such a way that it maintains its unique & distinct identity yet it must be affordable in the budgeting we have in the Indian context. ICGEB still has three components, one being in Delhi, India; second in Trieste, Italy, which is the headquarters and the third in Cape Town, South Africa. Large number of workshops and other common activities are spearheaded from our headquarters. The Director General heads the three-component system and a Director is at helm in each Component. The governance structure of ICGEB remains the same as before. The agenda is guided by the Council of Scientific Advisors (CSA), an international body and ratified by the Board of Governance (BoG). The Goverment of India is represented by the Secretary, Dept of Biotechnology on the BoG. That was the case earlier and that is the case now. Besides the host country contribution, we receive substantial extra-mural funding from the DBT as well as other funding agencies; much of the development of malaria and dengue vaccine or many basic research projects at ICGEB were funded by extramural grants. The agenda for extra mural grants is as per the mandate of the projects as agreed to by the funding agencies. While ICGEB has always retained its autonomous character as an international institute, the government of India is also in the loop substantially due to funding reasons, besides being part of BoG. Department of Biotechnology is the Nodal agency for this purpose. How has been the progress on the joint vaccine development programme with the Sun Pharma? The recombinant dengue vaccine developed by Dr Navin Khanna over past several years was ready to be taken for clinical development. It was the conscious decision of ICGEB to look for an industry partner for this purpose and through a regular process Sun Pharma was identified, with whom we now have an agreement for the clinical development of this novel recombinant dengue vaccine which and could be a game changer. Initial research of Dr Khanna towards development of the vaccine was funded by ICGEB, DBT and Wellcome Trust and they all were consulted while going ahead with this stage. Dr. Khanna is busy in the transfer of technology to Sun Pharma. There is a joint committee for management and advice also with eminent personalities on board. While the financial part is being supported by Sun Pharma, the technical support is by Dr Khanna’s lab. The Sun Pharma has also given a grant to Dr Khanna to continue future research. Besides the clinical development of vaccine, as you are aware, a botanical drug was jointly discovered by Dr Naveen Khanna’s team at ICGEB and team and erstwhile avatar of Sun Pharma i.e. Ranbaxy under a joint project. Sun Pharma has also taken up development of this drug jointly. Has any goal setting been done for this project? The timelines are of course required by the industry. The Sun Pharma is surely fully capable of taking it forward. Transfer of technology is presently being done and may be completed in next year or so. The stepwise subsequent clinical developments will take a while but it is being done in a very high priority. The work that has gone into this project since last 15 years, tells a lot about the ICGEB’s capabilities in basic as well as translational research. Lot of papers related to this project as well as other projects have been published in journals of repute. What new initiatives have been undertaken at ICGEB in last one year? Also, the ones that have been driven by you? In the past, the ICGEB was typically focusing on two broader research areas, one being agriculture research including plant biotechnology and the second one was human health. We have lot of strength in both these domains. We have also carved out another domain called integrative biology. Thus, we have now redefined our objectives into three categories. On one hand plant biology currently focuses crop improvement and overcoming biotic/abiotic stress. On the other hand, health science or molecular medicine covers areas like malaria, dengue and other vaccines. Couple of scientists are working in the tuberculosis area as well. Diverse aspects are covered including discovery, identification of drug targets and vaccine candidates and search for natural products as potential drugs. There is continuity in what we have been doing yet the focus has been made sharper. Integrative biology has been carved out to include structural biology and bioenergy areas. Five years ago, DBT funded three bioenergy centres including one at ICGEB and a large team is focusing in this area. There exists strong emphasis on development of technologies towards biofuel as well as understanding basic cellular mechanisms using interdisciplinary approaches. As the Director of ICGEB, the first year was spent on consolidating the restructuring of the Centre, in my second year, we will focus on new recruitments. Since many senior colleagues have retired, there are deficit areas of expertize. Non-infectious disease areas will also get our attention. We are trying to develop some integrated programmes involving many researches pooling our strengths. My role is to make this happen. The existing scientific talent at ICGEB is the most positive factor. Most of my colleagues have been there for many years and have established their credentials. A few scientists who retired earlier are still involved as emeritus scientists. Hence, there is continuity with the past. All these years we did hypothesis driven research. But with concepts in big data what we call fourth paradigm, you start looking for answers from the data, which is already available. You start analyzing the data in a systemic way and many discoveries happen. We will focus on such new ways of doing research as well. Any efforts towards new collaborations either within academia or industry? We are trying to develop new research programme where collaborative model could be best utilized. National Institute of Plant Genome Research (NIPGR) and National Institute of Immunology (NII) are our close door neighbors. Since I have worked at NII in the past, I understand the areas where the tie-ups can do wonders. We are trying to build the partnerships with these institutions in some loosely linked cluster mode. Has this already been initiated? Any commitment from DBT on funds? This is a good point. My experience is that DBT always funds good ideas. Whenever we have good idea, getting funds is not a concern. With combining strengths of three institutions, coming up with good projects should not be an issue. Lot many institute directors generally complain about lack of funds. Do you also agree that funds are a concern? I am perhaps an odd man out. I would say we should put enough efforts to get funds. We must define the direction. I am persuasive which is what is required to be done to get the funding. As a Director, I must coordinate with funding agencies and not complain. DBT is one of the major funding agency and we have been hugely benefitted by it. However, we need to get industry and international partners as well. Persuading industry is our job but it might not materialize always. All our efforts might not result in funding but we should try. When I joined ICGEB, the Centre had gone through financially difficult time for a couple of years. During these difficult times, practically every scientist at ICGEB focused seriously on extramural research grants. I was pleasantly surprised to see they all were capable of attracting their own funds. Of course, we have to enrich the existing core funding and find enough technological collaboration opportunities. Again, I would say that it also has something to do with accountability. Funding agencies ask us to account for funds utilized which is alright. This will also lead to the focused approach. 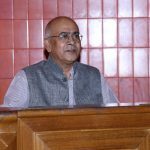 How valid is the argument that the translational research in India lagged behind due to focus on basic research and that the product outcomes are lacking? I must say that ICGEB has been able to stand out and balance successfully between the fundamental and translational research. So many diagnostic kits from Dr. Navin Khanna’s lab besides other agriculture related biotech kits are an excellent example. Dr. Chetan Chitnis and Dr. Chauhan made a good scientific contribution towards development of malaria vaccine. Dr. Chitnis is now at Pasteur Institute but even then we are trying keep collaboration going. I would say Dr. Navin Khanna’s success is an excellent example of translational research at ICGEB. He has shown the path to young scientists. The translational research that was looked down upon earlier, is now being looked at as the future. Even Nobel laureates agreed during recent discussion that both basic and translational research are important. Your comments? Of course, both are important. Dividing scientific research into discovery and translation is not a fair. 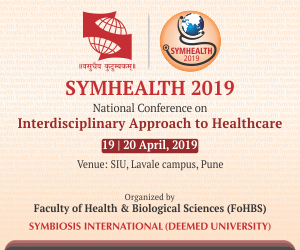 If we go into the history of science in India, we will see that at various stages in the past we had people doing fundamental research became very important pillars of translational research. Whatever investments and research was done over many decades is giving fruits now. The ability to generate revenue and jobs we have today is because of the seeds sown in the past. People some times ask why is India not winning enough Nobel prizes? Of course, it would always be nice if our scientist received Nobel prizes. However, if our science can help our people in Indian and the rest of the developing world to progress, that would be even bigger contribution of science. Do we have enough skill sets in India? There are colleges whereas even basic research facilities are not present? Quality control is an important factor. My answer to this would not be just yes or no. There are courses where quality is compromised but there are courses that give us best quality people. For example, IISERs and IITs are training the students after class 12 in a remarkable way. RCB will start specialized courses in gap areas. We must continue efforts to improve. Because this is like that Alice in Wonderland story; to stay at the same place you have to keep running. We can’t relax saying our quality is good but at the same time we can’t also say that our quality is bad. If we didn’t have quality, how could we have made the Bangalore and Hyderabad hubs successful. A big gap has always been felt between science and common man. How to bridge this? I agree we should communicate with society better. We should be able to convenience the common man that science has been a major partner in progress so far. Whatever has been achieved by us is not known to the society. Our strengths are not understood by the people. We need to communicate our successes to the people as well as to our leadership. They should know that the investments made in science have given positive outcomes. That is true for all areas of science. Of course, we honor the society’s wishes that the science should produce the results faster. It is public money and they have right to ask that. We must strive towards that. We need to ensure that whatever we begin must continue with the higher level of quality. Scientific excellence is a must as it will automatically lead to results for the benefit of people. We should strive for excellence but also make sure that everybody must understand what we are doing. Why do scientists lack in communicating on their work? Why do they avoid talking to press? Traditionally scientists believed in doing their work in a focused manner without generally bothering to speak out or counter any public myth. Doing scientific research is not the same as any office job, which is mostly predictive. Here you are doing something and exploring. They build ivory towers and shells around them. However, it doesn’t work anymore. They must communicate more. Should we expect any makeover of ICGEB in next few years? We would like to make ICGEB a lot more international than it is today. We do have international students and post-doctoral fellows in small numbers. We need to increase that number. It would be nice to have senior colleagues also of varied nationalities. ICGEB’s mandate allows us to do so without compromising on quality.